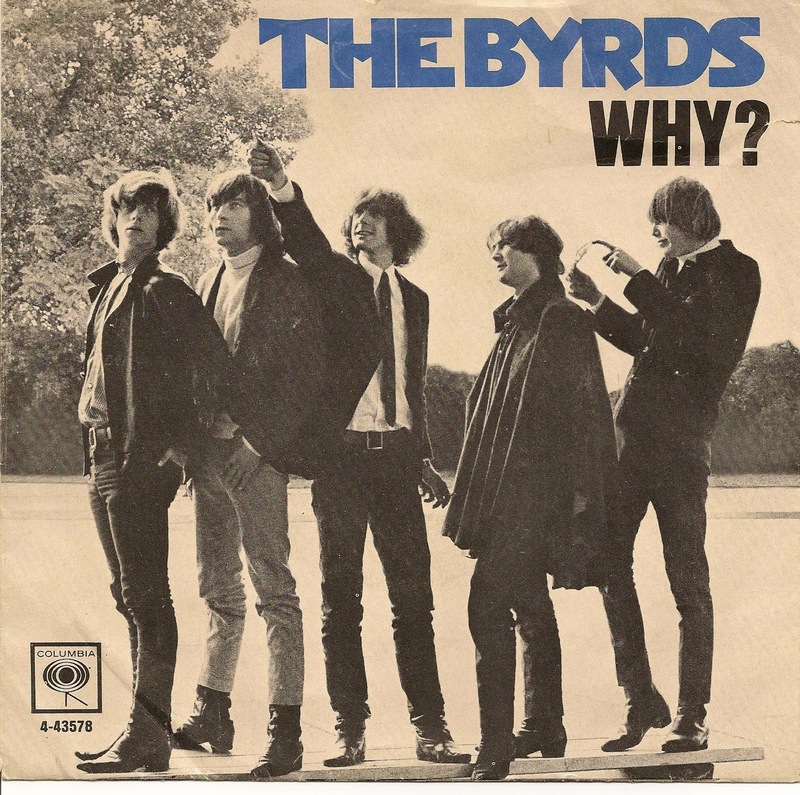 THE BYRDS — WHY? – IS YOUR CLAM IN A JAM? Today we’re gonna be talking about the Byrds in 1966, when their wings were spread and they were in full flight towards the outer reaches pop music. The Byrds formed in 1964 when Jim McGuinn, Gene Clark and David Crosby decided to buy electric instruments after having seen the Beatles on the Ed Sullivan show. Their folk roots mixed with McGuinn’s electric 12 string Rickenbacker created a new kind of music that bridged Bob Dylan’s acoustic folk (he still had to go electric at the time) with The Beatles’ Rock. After having invented a new genre, folk rock, and releasing two very successful albums in early 1966 they started experimenting with strange new substances and exotic musical genres. The story goes that before the release of their seminal album Fifth Dimension, they were touring on a bus and only had one tape with John Coltrane’s India on one side and Ravi Shankar on the other. While David Crosby obsessed over Shankar’s Eastern Mysticism and Exotic scales, McGuinn flew on Coltrane’s free jazz wings, and when the two started writing and recording Eight Miles High a new genre was born: psychedelic rock. While Eight Miles High is one of the most important songs to be recorded in the 60s, Why?, penned by David Crosby, is one of the first pieces of western music to incorporate traditional Indian sonorities in a pop-rock format. While no traditional instruments were used on the record, McGuinn’s 12 string emulates a sitar, resulting in a Himalayan mid-song solo that is then be brought back to the Sunset Strip on an swinging beat. I don’t know where you live, but you’re not living unless you’ve heard this song!